Absolute balance from every aspect, the multi-variety extra virgin olive oil you are about to taste is moderately fruity, slightly bitter and mildly spicy. It embodies the dedication to quality oil-producing in which the Kocheila family has been engaging since the beginning of the 20th century. 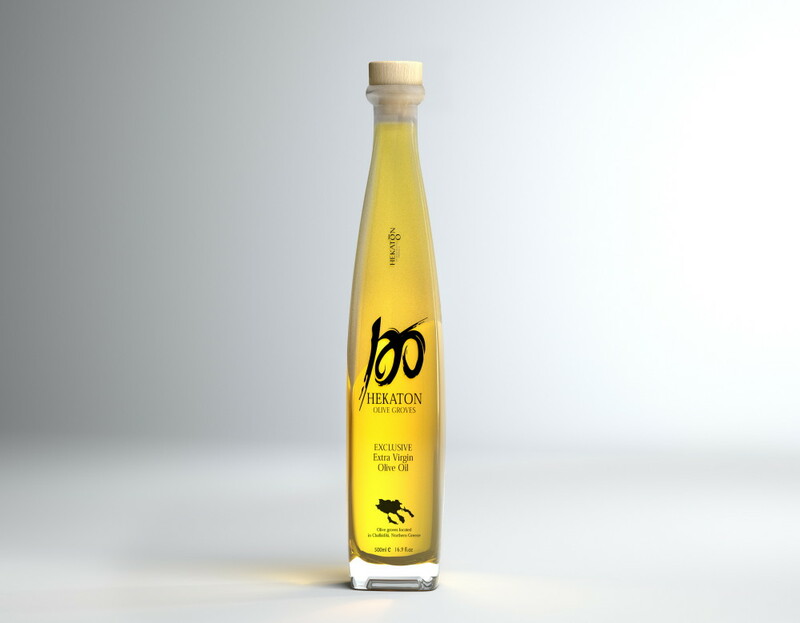 A unique blend from the varieties of Chalkidiki, Kalamon, Metaggitsiou and Koroneiki that are cultivated in the family olive grove “Kalderina” located on the hills of the village Chanioti – The extra virgin olive oil “Hekaton Olive Groves” features a rare character and flavour intended to please the most demanding palates.